The Summit Clinic uses state-of-the-art technologies to facilitate and optimize the work of its specialists. Summit’s high standards meet the needs of practitioners in terms of performance and efficiency. The best equipment for the best practitioners is a promise that we hold every day in all our fields of activity. The crown jewels of Summit Clinic are the operating rooms. They were designed ergonomically by the two founding surgeons, Dr. Michel Ribordy and Dr. Johann Wary, in collaboration with the team of anesthesiologists and the team of nurses. 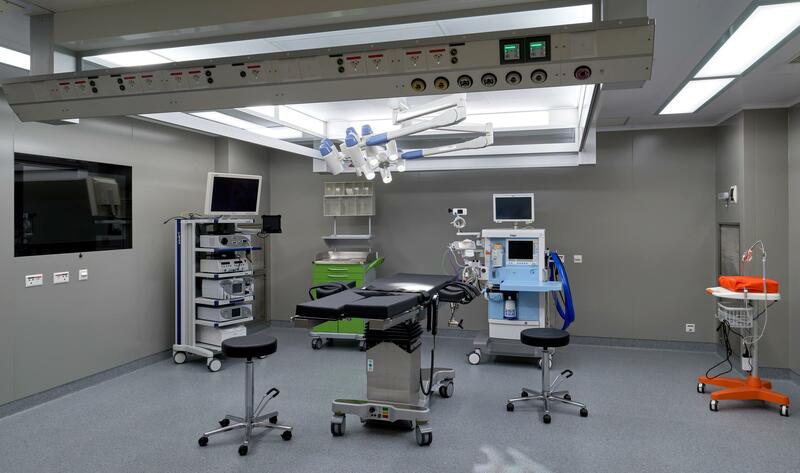 The design of the operating rooms allows optimal interaction of the medical team, while preserving the maximum comfort for the patient. 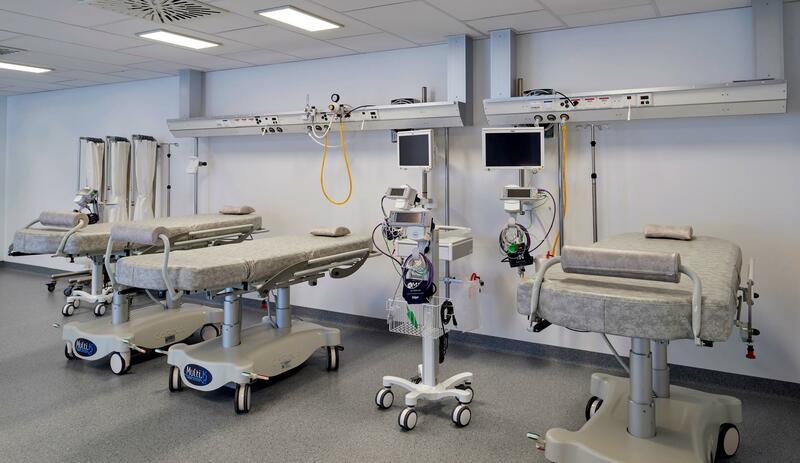 The size of the operating rooms, of 40m2 each, sets new standards of excellence for the benefit of the team and the patient. The rooms have been designed by ADMECO to the highest standards of space management, airflow, light management and information. As the Summit Clinic is a state-of-the-art stand-alone ambulatory surgery center, special care has been taken in the well-being of patients. 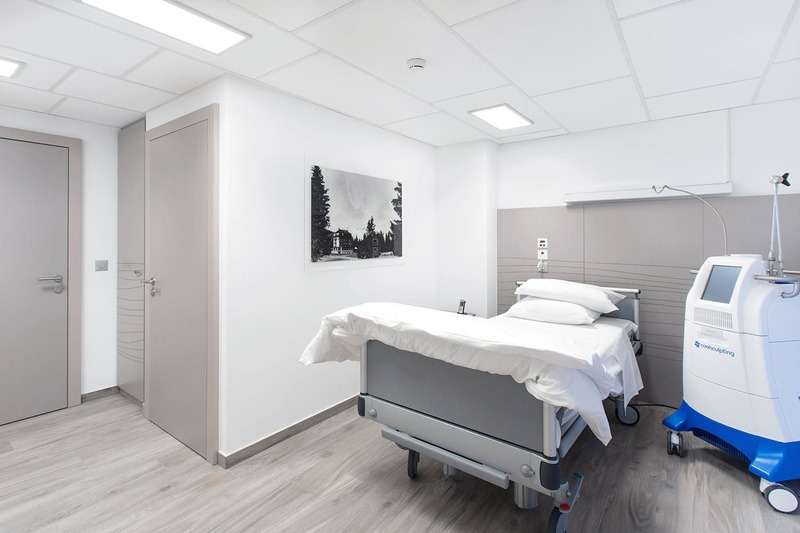 Patients arriving at Summit Clinic for surgery will be brought to individual and comfortable private space, where the necessary pre-operative procedures are taken care of by our staff. After the procedure, the patient will be monitered in the recovery room, it can accommodate up to six patients. Once medically stabilized, patients are accompanied back to their private area, where they will be able to rest until the medical staff can allow them to return home. Every step of the way, has been carefully planned and executed under the strict supervision of the industry leader in operating room production and two seasoned practitioners in order to optimise technical performance, efficiency and patient comfort. Ultherapy® the only non-invasive ultrasound facelift method authorised by the FDA. Since the introduction of Ultherapy® in 2009, microfocalized ultrasound has established itself as a world leader as a non-invasive face lift. This is a fantastic alternative for all the patients that are not looking for a surgical intervention, but wish to tighten their skin with a natural result. Ultherapy® directs the energy in a targeted way to the different layers of the skin with great precision. It can be used to treat cutaneous tissues very accurately to a depth of 1.5 to 4.5 mm. The treatment heats up (temporarily to 60-70º C) and targets the tissues, creating thermal coagulation points with an average size of 0.5 to 1.0 mm. This temperature makes it possible to perfectly stimulate collagen synthesis. Ultherapy® is equipped with a patented system, which is the only non-invasive method that has both an echographic visualization and a possibility of intervention. Thus, it is possible to decide precisely the amount of energy released at the desired location. In order to achieve aesthetically perfect results, the system includes specific transducers designed for each depth of intervention. The revolutionary CoolSculpting® technology uses a patented cooling process called Cryolipolisis to target and eliminate fat cells. This non-surgical procedure is highly effective in selectively targeting fat cells without damaging other cells and tissues. The system includes a touch screen and applicators that are optimized to fit different body types. 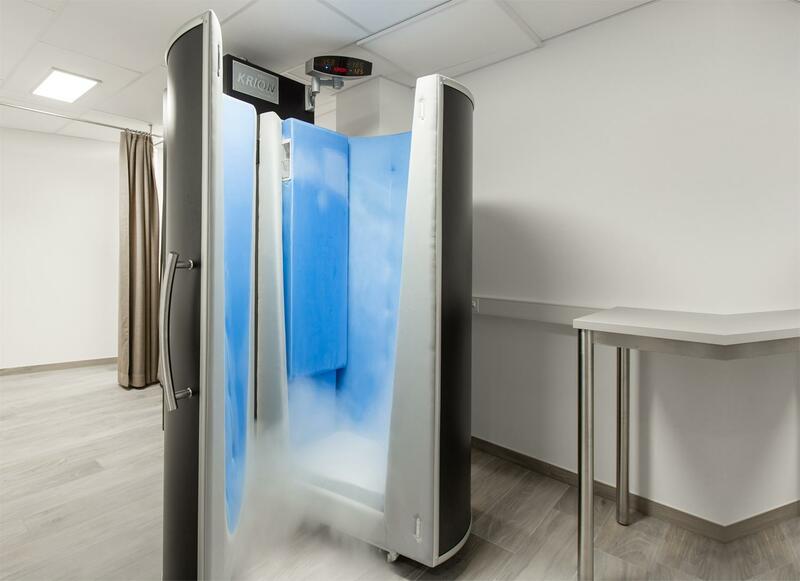 Cryosauna (also known as cryochamber, cryocabin or cryopod) is an innovative healthcare and beauty care equipment for treatment with extreme cold temperatures (from -130°C to -190°C ).The treatment is based on short-term cooling of the epidermis using gas, and exposure time is only 2-3 minutes. Cryotherapy provides a therapeutic effect for the entire body, and is successfully used for recovery and rehabilitation. The Krion Premium Edition Cryosauna is a high-quality, powerful and reliable state-of-the-art equipment for cryotherapy. It takes only 5 minutes to prepare before your session and provides an extremely comfortable and safe experience. The Gold Standard LighSheer® DUET™ has two optimal wavelength 800 nm diode hair removal systems on one versatile platform. The LightSheer’s dual heads enables permanent hair reduction from all areas of the body. Its advanced technology reduces pain while increasing efficacy, enabling fast and comfortable treatments for patients and doctors. Vacuum Assisted High-Speed Integrated Technology (HIT™) that enables increased efficiency and safety and decreases but also treatment pain. ChillTip™ Technology that enables greater efficiency and increases comfort. Skin is compressed, then laser beam applied to skin and target is damaged.